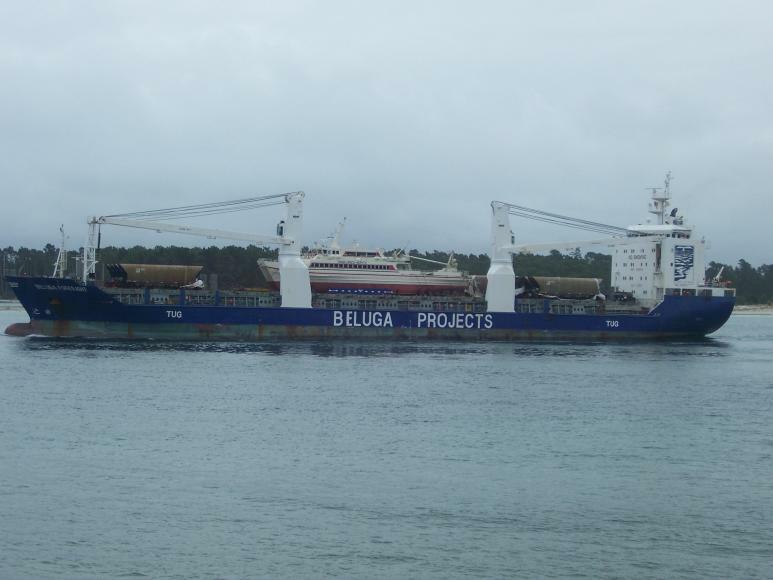 The Beluga Foresight arrives in the Tauranga Harbour channel with the first delivery of DL loco's from China. The loco's are stored in the centre hold under the catamaran. Also on deck are coal wagons destined for Australia.